The Blackheath NMT project is well under-way and appears to be progressing well and according to schedule. 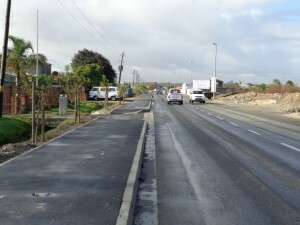 The new pedestrian routes have successfully taken pedestrian traffic off of the roadways and onto safe and well-made pedestrian walkways that are being well used by the many pedestrians who move through the Blackheath Industrial Area on a daily basis. Literally thousands of pedestrians move between the residential areas, the stations and taxi ranks and the businesses in Blackheath Industria on a daily basis. 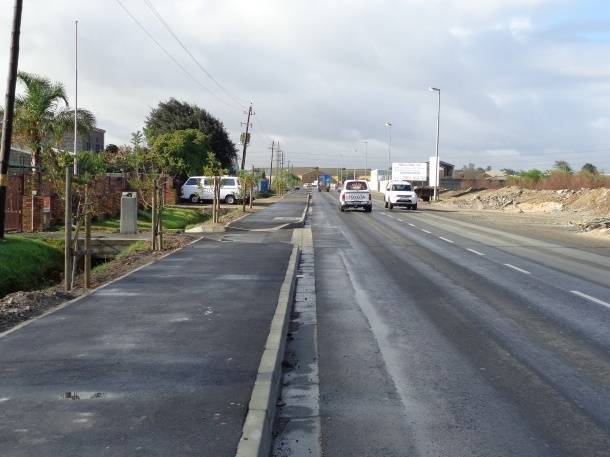 Safe pedestrian walkways and NMT Lanes and Public Lighting are an essential intervention going forward to ensure the safe movement of staff and visitors to the Blackheath Industrial Area. 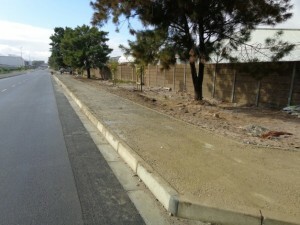 We are well on our way to achieving this in partnership with the City of Cape Town and its contractors. New Street Lighting has recently been implemented in Trafford and Gooderson Roads and in Roker Close. We are still driving the implementation of Street lighting in the remaining, unlit, areas of Blackheath, including parts of Range Road, Helen Street and Nicole Avenue and also in Rand Road. We have come very far with this initiative in Blackheath Industria to date. Street lighting was already rolled out in School, Waggie, Metal, Nebula, Anfield, Buttskop, Wimbledon and Artisan Roads.